Google today updated its Gesture Search app for Android with support for over 40 languages. You can download the new app now directly from Google Play. For those who have never heard of it, Gesture Search lets you use your own handwriting and gestures to search your Android phone or tablet, instead of relying on an on-screen keyboard. Now that it can recognize a mix of over 40 languages, you can simply draw a number or letter to access contacts, apps, bookmarks, settings, music, and more by swiping your finger on the screen. Best of all, you can use transliteration (transcribing from one alphabet to another) across these languages. This includes Pinyin character support for Chinese, as well as less complex optoins (Google gives the example of swiping “Arhus” to write “Århus”). 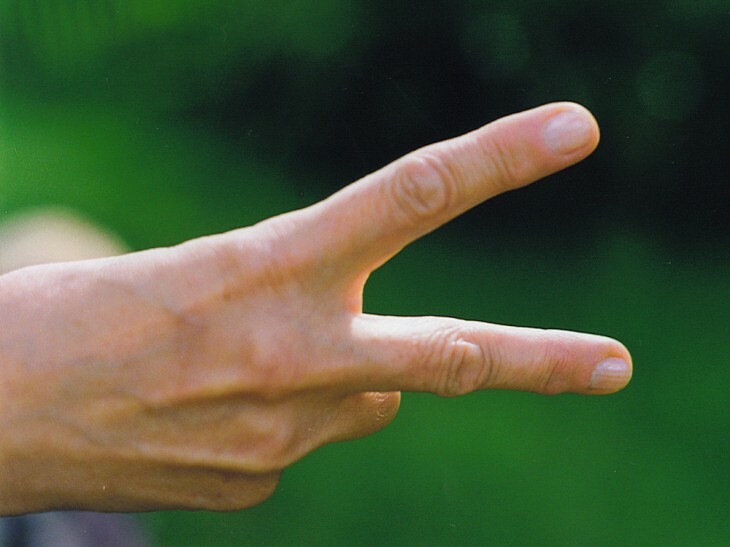 Google’s gesture-searching app first arrived on Android back in March 2010. It was never a full-featured offering, and still isn’t — the app only lets you search by writing the first letter of a query — but it’s quieter than voice search and handy when you don’t want to type. 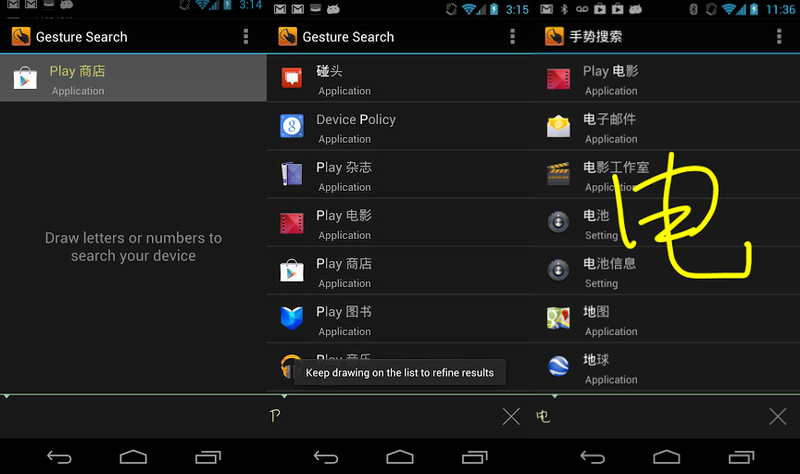 As we wrote when it first launched, Gesture Search is more of a “building block” for finding information on Android. Google clearly sees the app as a test for a different way to search on mobile, and we’re sure lots of findings are shared across its internal teams to improve the company’s handwriting technologies. Yet clearly the app isn’t good enough, or useful enough, for Google to just build it into Android. With all these new languages coming in, however, this update may just be the ticket. We’re not holding our breath: it’s still very much a gimmick.